This time of year my calendar just seems to spontaneously fill up. However several weekends ago I found myself lazying around on the couch all Saturday morning. By noon, I thought to myself “how did this happen” and “why aren’t I out there stealing a piece of beauty to keep for myself?”. Lately I have been on a bit of a waterfall kick. So I grabbed my phone and started searching for waterfalls around Lake Tahoe. Eagle Falls came to mind, but I have shot it during the day and very much wanted to shoot the sunrise there. Scouting my shot for sunset. 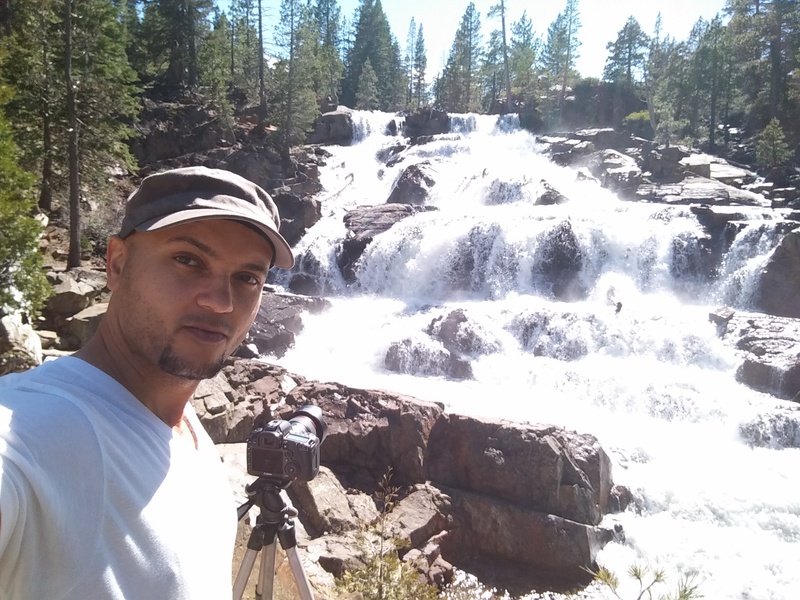 Driving up in the middle of the night just for the sunrise didn’t sound too enticing so I figured I’d look for another good waterfall to capture on that day, spend the night in Tahoe and then capture the sunrise over Eagle Falls. As soon as Glen Alpine Falls popped up on the phone, I knew that was where I would be chasing the sunset. I hurriedly packed for an overnight visit, scoured the internet for a cheap, decent room where I could lay down for a several hours before casing the sunrise. I was on the road within an hour and made it to Glen Alpine around 3:00pm – just the way I like it. I had ample time to explore the general area and plan my sunset shots. It was far more majestic than I had hoped. With time to spare, I went up to Lily Lake to explore and have a late lunch snack before heading back down for the sunset at the falls. It was a very relaxing day well worth the effort to get out there. I highly recommend it and will be going back to explore the Glen Alpine Trail soon.